The Philadelphia Eagles are an exciting NFL team to watch because you never know which team is going to show up: the one that puts up 30+ points, or the one that loses pitifully to the New York Giants. Watching a tennis match is just as exciting as watching a football game, but I find the experience much more vivid. As a tennis player, I recall the feel of new rubber tape on my racket, the short “pop” sound of a volley, and the sharp smell of a fresh tennis ball. 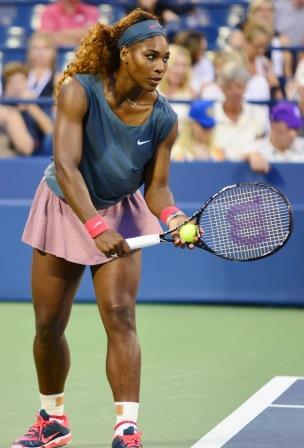 During the Australian Open, I watched Serena bounce the ball a few times before looking across the net to her opponent and I felt the same anticipation before I serve in a match. As the point progressed, I felt like I was the one hitting forehand after forehand, and finally a backhanded winner at the net. My own experiences seem to make watching tennis quite different from watching other sports. So what happens in our brains when we observe athletes of our own sport, or dancers of our own style?